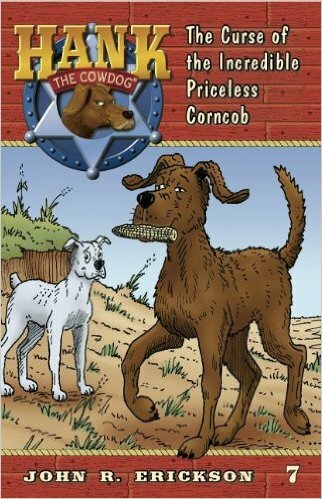 A priceless corn cob is just what every dog wants, right. Well, that’s what Hank thinks when the cat, Pete, convinces Hank and Drover of the unbelievable worth of a corn cob. So, Hank quits the boring ranch job to go on strike because of his “priceless” corn cob. This ends up creating a big mess for Hank and Drover. This book has teasing, mild language, and a group of cannibals (coyotes) that are planning on having Hank for dinner.